Childhood is one of the most sensitive phases of our lives. Anything that happens in childhood contributes to shaping our behavior, our choices and makes us what we are. Be it a criminal or a leader, each and every person will have the past which has played a direct role in developing their personality, their dreams, their outlook towards life. A lot of people are abused emotionally in childhood which forced them to devalue themselves, lose their confidence and even lead to serious mental health issues. We cannot undo these abuses but talking about these issues and spreading awareness might help people prevent such actions. 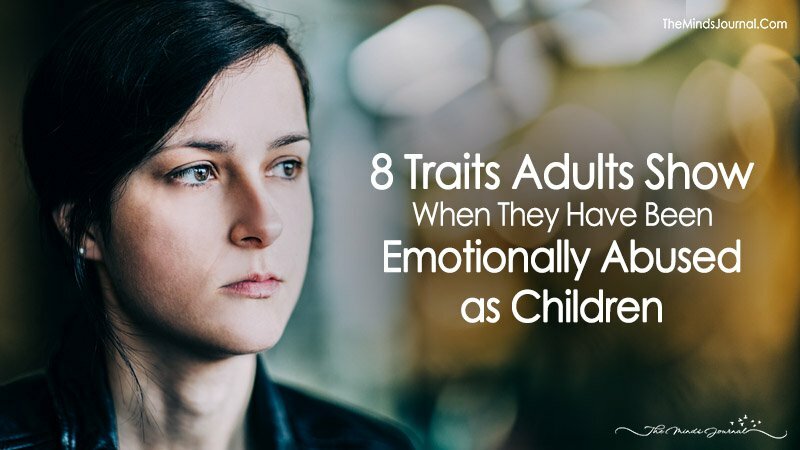 We need to understand that children who face emotional abuse still bear those marks as adults which affect their lives along with those of their peers too. This is detrimental to the development of a healthy society. (1) Screaming, fighting, loud noises become unbearable. It instigates fear or anger in the person. It can have two effects: either the person would want to fight and express their outburst or the person would become extremely silent and try to leave the situation. (2) The person has a problem in expressing their opinion. They will always take the neutral point of view and try not to debate with others. This is a result of mild cases of a child being prohibited from expressing their opinion to extreme ones like that of a child being scolded severely or beaten up for expressing their opinion which was not in tune with others. As an adult, this fear syndrome will persist and the adult will not express their own opinion which could have added value to the discussion. (3) Accepting the fact that one is loved unconditionally is very hard for the adult. The adult will always remain skeptical of the love because as a child, they have been betrayed and they have always been devalued. This not only has affected their self-confidence but also took away their trust on people. An adult who has gone through such situation will not trust a person completely and hide in their own shell. They will not have faith in life and love and in their attempts to hide their vulnerability, they will live in their only corner. (4) The adult will keep on explaining their actions even for simplest of things. It arises from situations where the child has to be answerable for each and everything they did. When the same child grows up, they will live in the fear of being distrusted or scolded, lacking faith in their ability to trust on their own judgments and will also be unable to take decisions. (5) A child who has been abused will be a very shy adult. Years of ignorance will lead to the belief that nobody wants to listen to them. They will try their best not to open up and will dwell in the belief that they are unwanted. This leads to depression and other mental health issues.